This is what'll getcha it. Be riding a bike. Tandems and trikes don't count. Wear a helmet. We don't necessarily have to see the helmet, but if it's clear you're not wearing one, it won't count. If you're crazy enough and do all of the above, you can max out at 6 points (1 for entry, +2 for both feet off the pedals, +2 for both feet on the top tube, +1 for video). This danger panda pic of Dirt (which I'm using without his permission) is an almost perfect score of 5. A vid would have gotten him 6 points. Each picture is graded separately (i.e., points are not cumulative from all your entries). The pic with the most points wins. If there are ties, there will be a vote by the forum for a winner. Try it if you aren't totally comfortable riding with no hands and doing silly stuff on the bike. I won't take responsibility for anyone hurting themself! Post the picture or video in this thread, or a link to it so it's easy to find. Entries accepted now (2/12/17) until Freezing Saddles 2017 ends. This is a good opportunity for me to ask a question I've been kind of afraid to ask. What is the secret to riding hands-free? It can't be purely a disregard for one's safety. I see people ride for blocks without touching the handlebars. It can't be JUST a core thing - while my core strength isn't winning any awards, I can do something resembling a track stand on the longtail with 125+ pounds of children on the bike. I've found that once you get to a certain speed (which is different for every bike), the bike will stay upright on its own accord. When you figure out that speed, let go of the bars and shift your weight back. You can then steer the bike leaning slightly with your hips. Also, it helps to use a bike that doesn't have floppy or twitchy steering. When I tried it on some friends' fat bikes, if you turn a little, the front wheel will flop immediately and you'd go down quick. 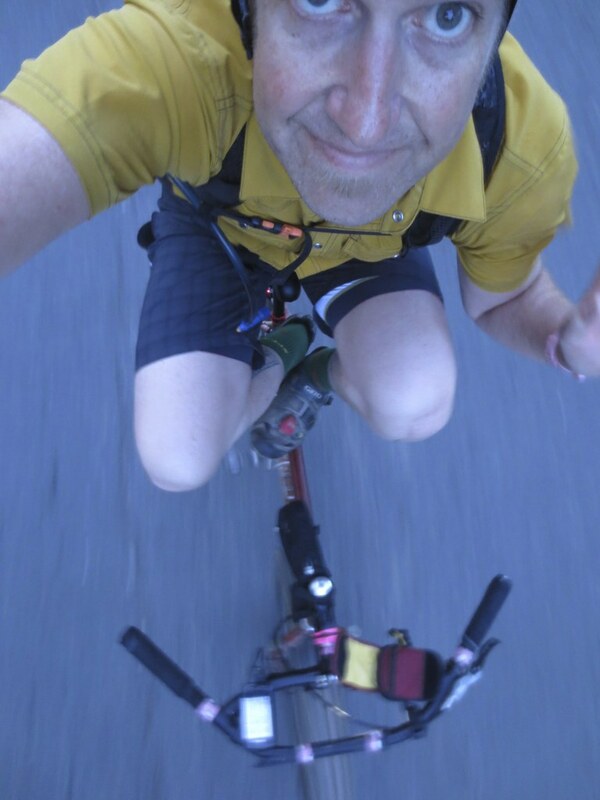 As for twitchy, I can't ride no handed for too long on my Brompton. Maybe I just need more practice on that one. Last edited by drevil; 02-12-2017 at 10:06 PM. The bike itself has some effect too, I think. My gravel bike doesn't like no hands unless I'm going pretty fast, but my Cinelli seems like it could ride itself at walking speeds. 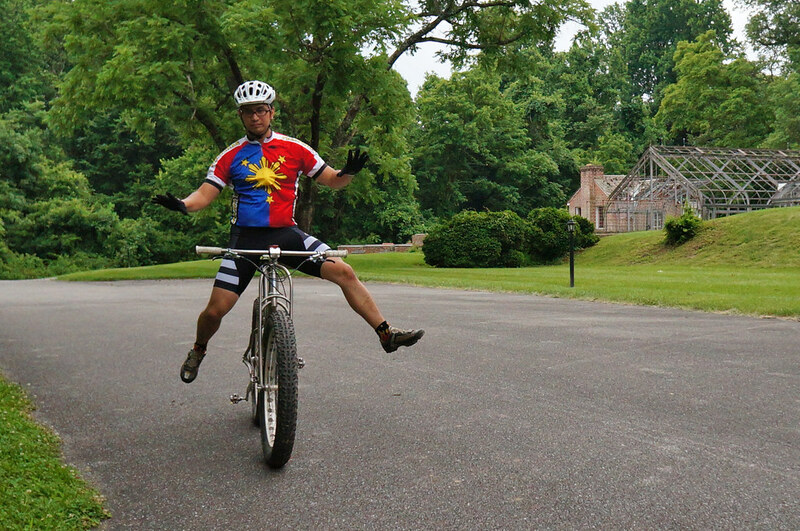 I've also found that pedaling helps even out my balance. I'd say pedal yourself up to a decent speed, lean back and relax, take hands off bars, and keep up a smooth cadence and you should be able to do it. Last edited by TwoWheelsDC; 02-12-2017 at 11:08 PM. Headset must be well adjusted and no pitting of the bearing races. Waiting to hear how many people fall off/crash. I see you're a sadist, chuxtr, since you liked my original post which helped pushed this pointless prize to fruition! It's not that hard if you keep your feet on the pedals, so submit one, Chuck! I'm a former (local) racer and have no problems riding no hands ... even riding in a group. Although I can't make any claims about being able to ride no feet. But prefer not to test the limits of my luck taking a selfie while riding. Extra point for doing this in a panda costume?